Hair Tools Professional Hot Brush. Available in ½(13MM), 5/8(16MM) or ¾(18mm) for maximum volume & curl. The Hair Tools hot brushes have two switch temperature controls. 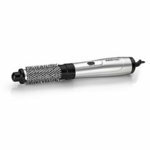 Hair Tools Duo Air Styler has two detachable brush heads in both 13mm and 18mm diameters, comes complete with a PVC zip up bag for easy storage. 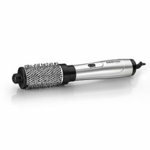 BaByliss PRO Ceramic Hot Brush, a ceramic coated barrel for a smooth, shiny finish in two different sizes 13mm, 15mm & 18mm please use the drop down box to choose your size. Multi voltage for worldwide use. Fast even heat up, cool tip and swivel cord, non-slip handle, swivel cord, stay cool safety tip, replaceable soft bristles. BaByliss PRO Replacement Combs. 8 replacement combs type 1022 suitable for models 273, 275, 279, 280, 283, 289. 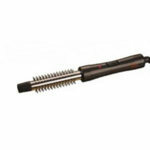 Babyliss Ionic Air Styler 34mm, powerful 800w hot air styler to shape and add volume as you dry. 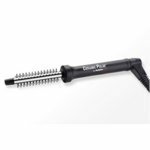 Thermal brush with epoxy tips, ceramic coated barrel, 3 heat/speed settings plus a cool setting. Ionic conditioning delivers a frizz free, shiny finish. 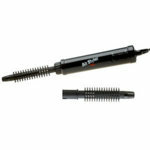 Babyliss Ionic Air Styler 50mm, powerful 800w hot air styler to shape and add volume as you dry.